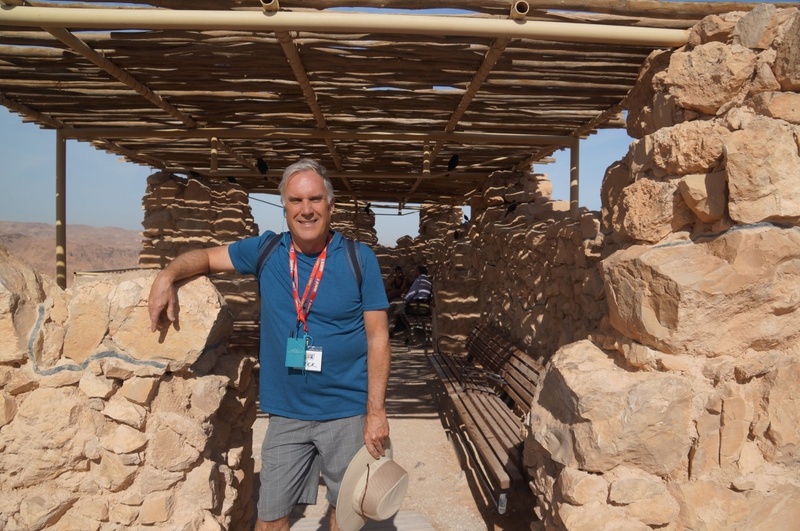 Built between 37-33 BC, King Herod used this place as a retreat, coming here during the winter months. He could literally stay for years with the amount of food and water he had stored in this virtually, impenetrable place. What army would want to climb this hill to fight? We are just really glad there’s a tram to get to the top now. 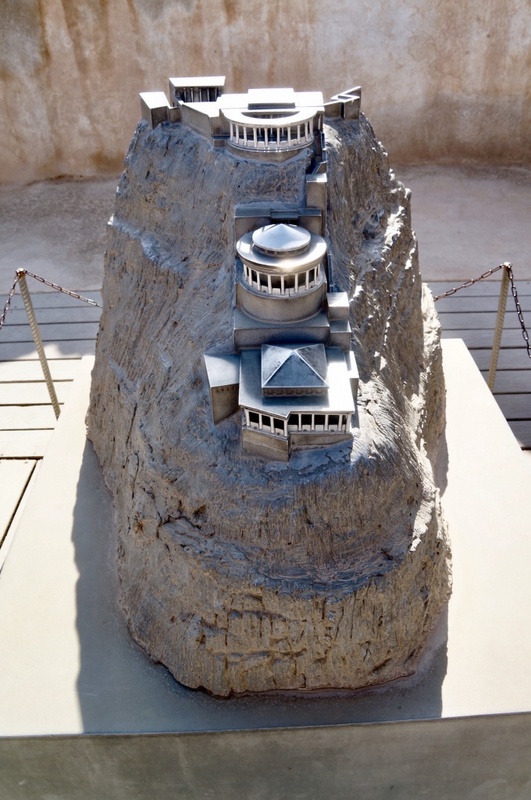 Here’s a model of the amazing fortress King Herod designed and built. It was eventually destroyed by an attack by the Romans. Food was stored in pottery jars, sealed with wax, and put in these long storage rooms. He had food supplies that would last him for three years. 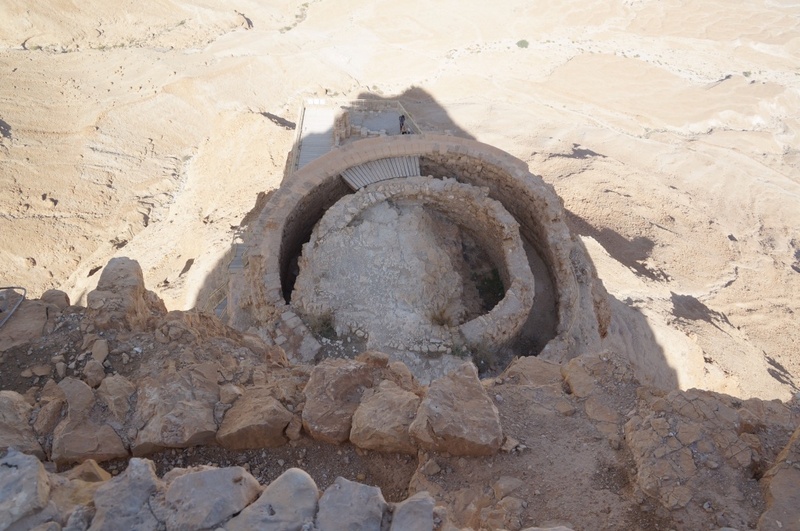 After the 2nd temple was destroyed in Jerusalem, many of the Jews fled to this hilltop seeking refuge from the Romans. The Romans however, were set on destroying the Jews, eventually breaching the hilltop fortress wall with a battering ram. 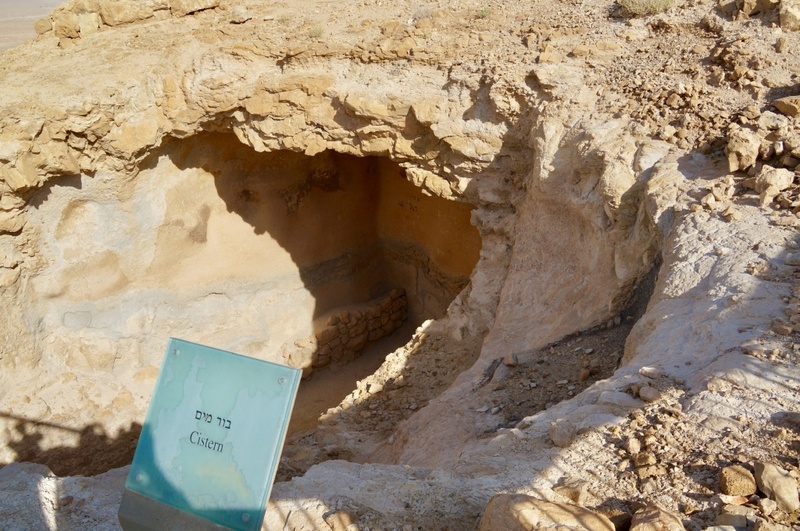 When the Romans entered in fortress, they discovered the Jews had set everything on fire, destroying all, and had committed a mass suicide of 960 people. It was better to have killed themselves than give the Romans the satisfaction. 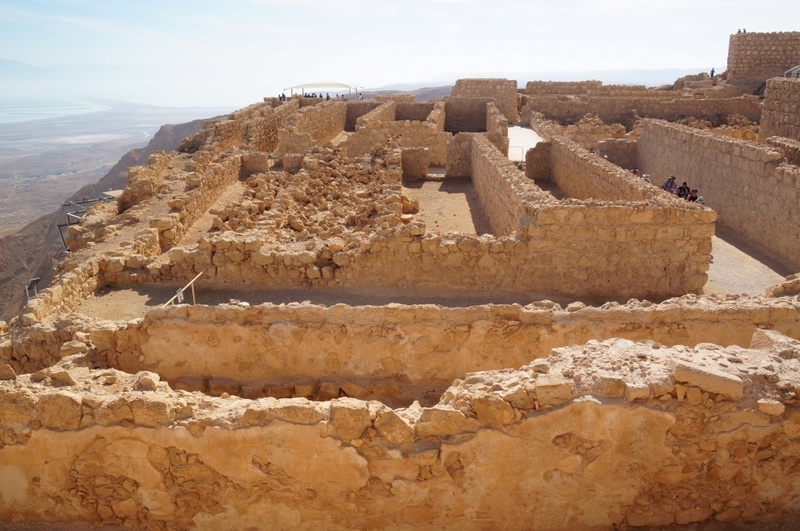 Masada was only inhabited for three years, and then abandoned. On brighter note, we drove down to the amazing Dead Sea. We have all heard so much about the mystifying, healing properties from the water, the sand and mud with entire cosmetics industries having developed products with restorative and anti-aging properties. We visited a wholesale factory where these products are made. One small bottle of facial mud mask was $425. Yikes! One person in our group bought $2500 worth of products. So what makes this stuff so special? 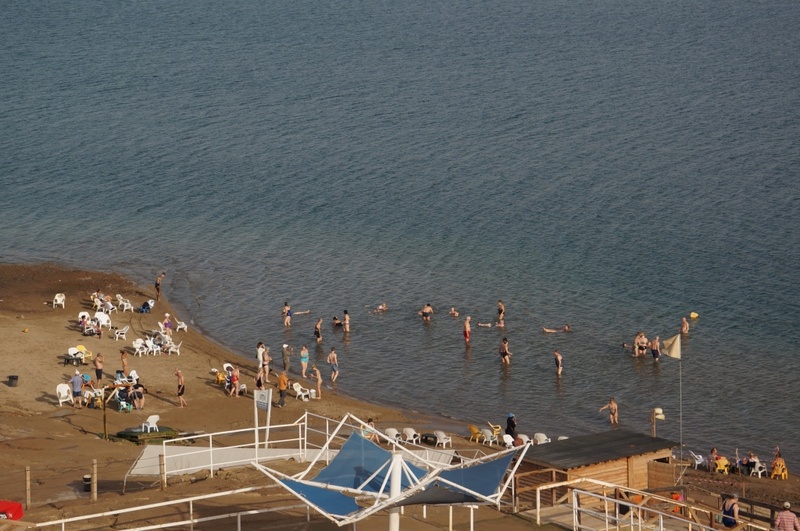 The Dead Sea has some very unique attributes. 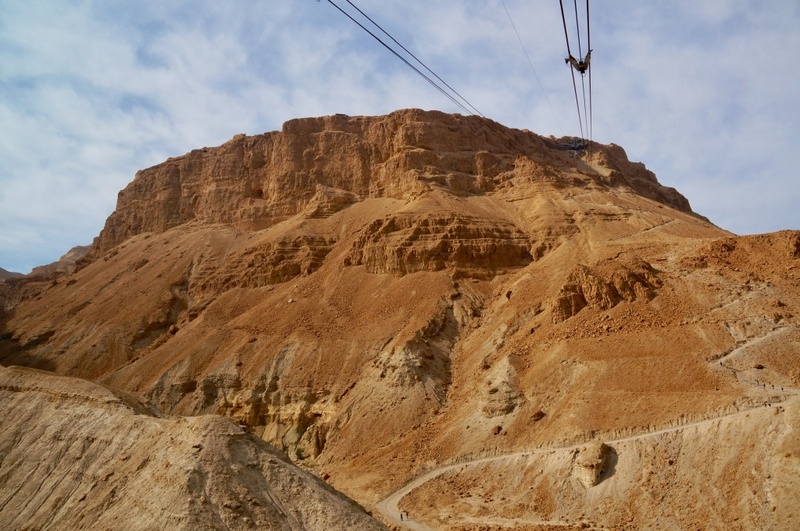 It is 1400 feet below sea level, making it the lowest point on Earth. That makes the air 28% oxygen where normally we breathe only 20% oxygen. The air is purer and you should sleep better and feel more energized. 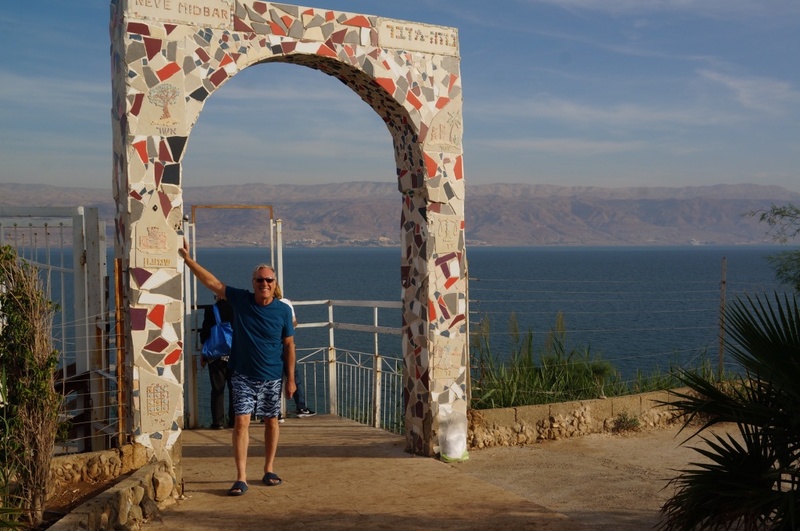 The ocean is 3% salt vs 33% salt in the Dead Sea. Nothing can live in that environment, but there is a wealth of minerals in the water which, apparently, are magic elixirs for your body and skin. So rather than spend hundreds of dollars on the cosmetics, everyone comes to bathe in the water for free. Even if you can’t swim, you will float like a cork. Just remember to squat down, gently lay back, and you’ll pop right up. You cannot swim, or get the water in your nose or eyes. You will not be a happy camper. You’ll be so buoyant though, that you could probably read a newspaper if you had one. Of course, you cannot forget to give yourself a good lathering of the medicinal mud to moisturize your skin. Even the guys are getting into the act. After a clean up shower, I have to admit, my skin felt rather velvety, our hair felt like it had a smooth sheen, and of course, we looked ten years younger. Maybe there’s something to these Dead Sea cosmetic products. We are enjoying your travel. Getting much needed rain here. You have a package at our house. 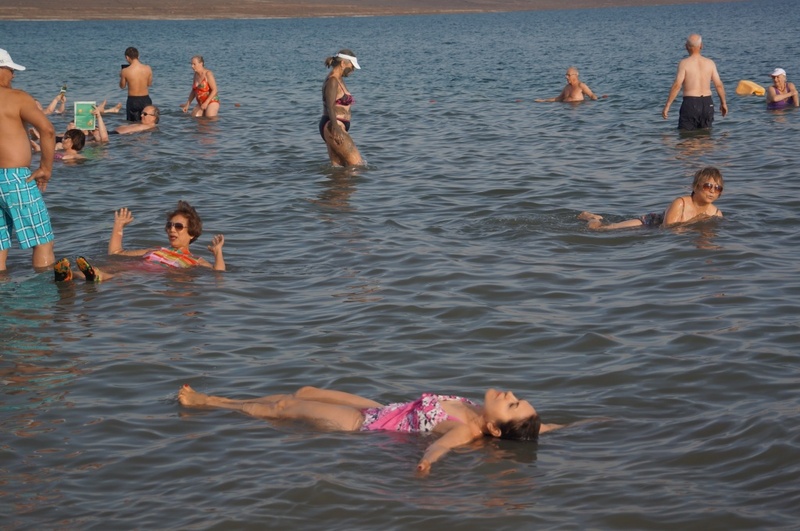 I could use a dip in the Dead Sea.